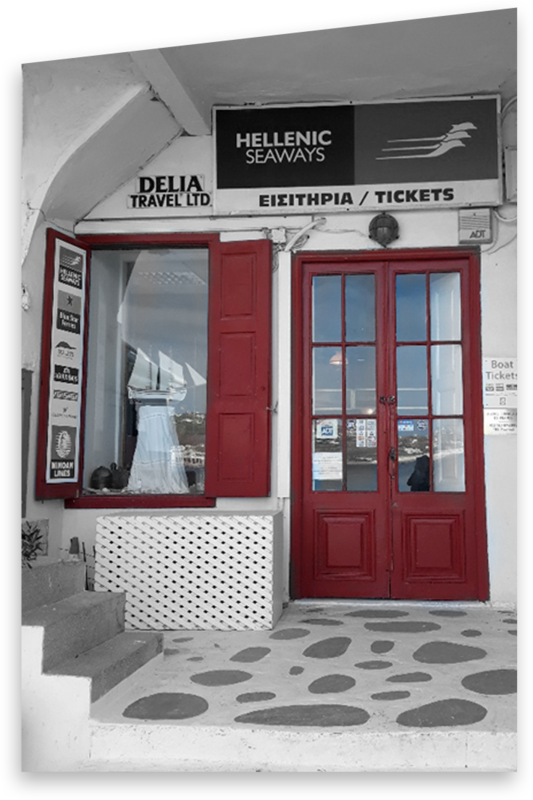 "DELIA TRAVEL LTD" was founded in 1967 and is located on the waterfront of Mykonos Town. It started off , with issuing Ferry Boat tickets and as a Cruise Ship Port Agent. Since then, Delia Travel has become one of the most reliable offices of General Tourism and has gained the trust of the traveling public due to the quality of its services.